The rose is arguably the most recognized flower in the world, and it is one of the most celebrated and enduring symbols in Western culture, similar to the lotus flower's prominence as a symbol in Eastern cultures. 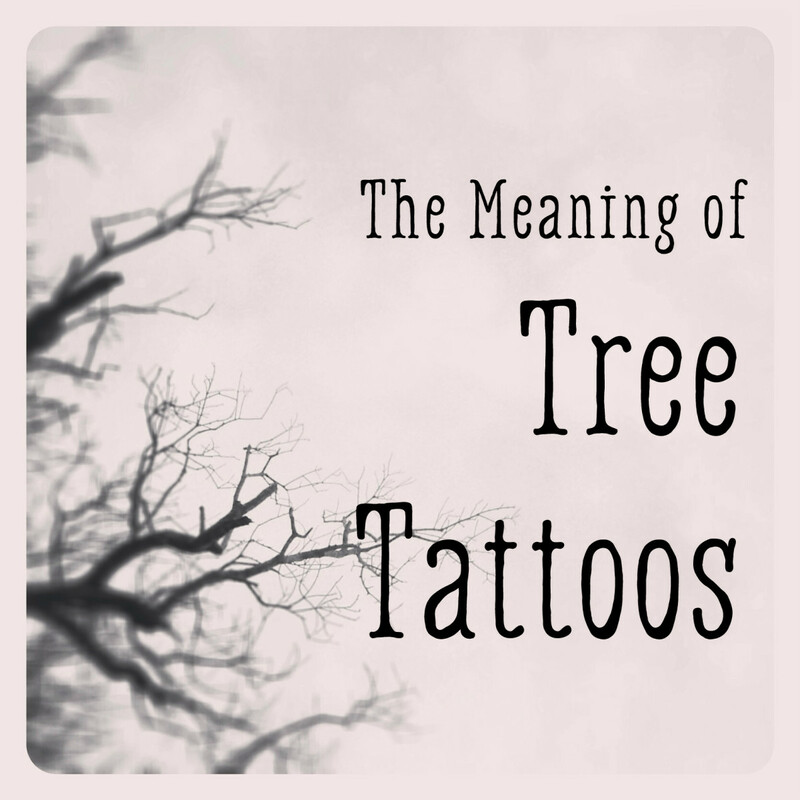 It has long been a favorite subject for poets and artists, and, in the past few centuries, it has also become a popular tattoo symbol. 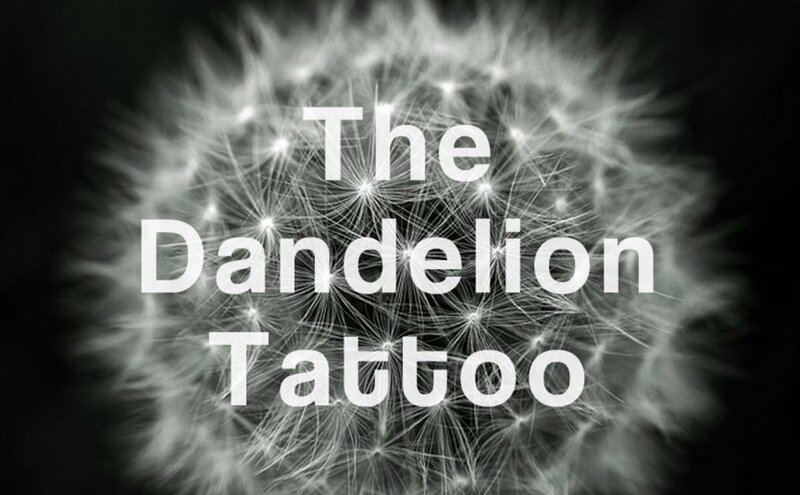 Learn about the origin of this flower tattoo and get inspired by the various rose tattoo ideas and meanings. The rose originated in Persia where it was seen as a masculine symbol. Over the years, it has become associated with femininity, however, the flower is popular with both men and women. 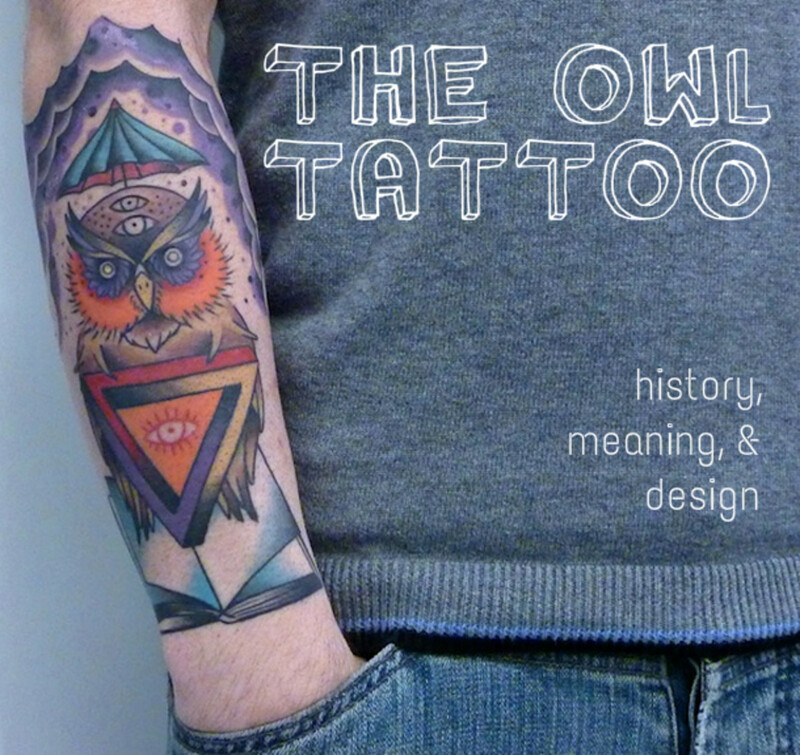 Although the rose tattoo carries a plethora of meanings today, it used to only represent love. 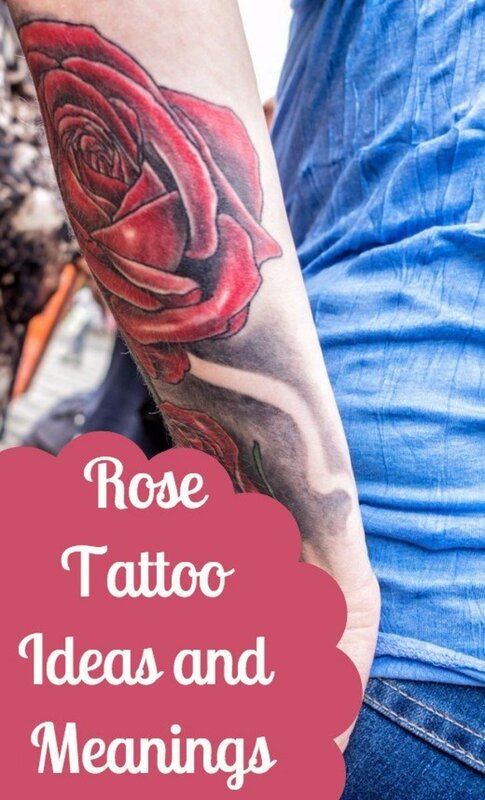 In fact, the rose tattoo gained popularity in the 1930s because sailors often got them inked on their bodies as reminders of their wives, girlfriends, and mothers. The general public later followed this trend, and it was common for men to get roses tattooed on their chests with their lover's name incorporated into the design. 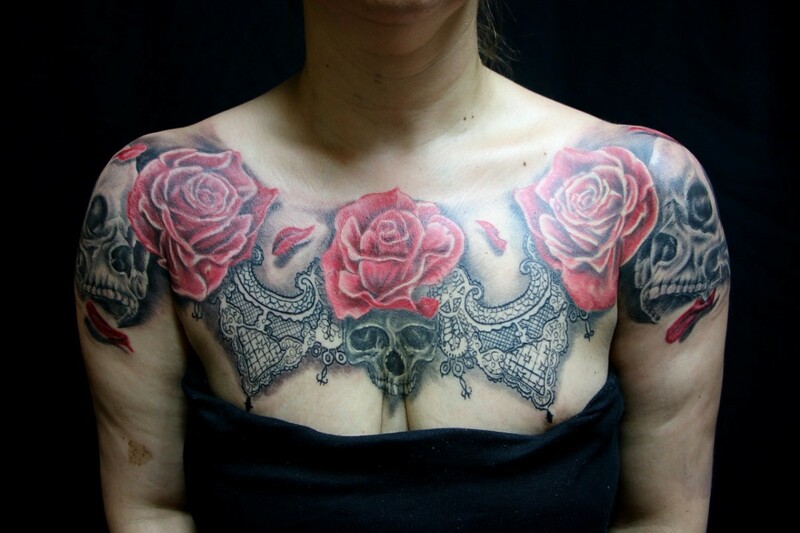 Rose and Skull: The skull is a strong symbol of overcoming challenges or the death of an enemy. 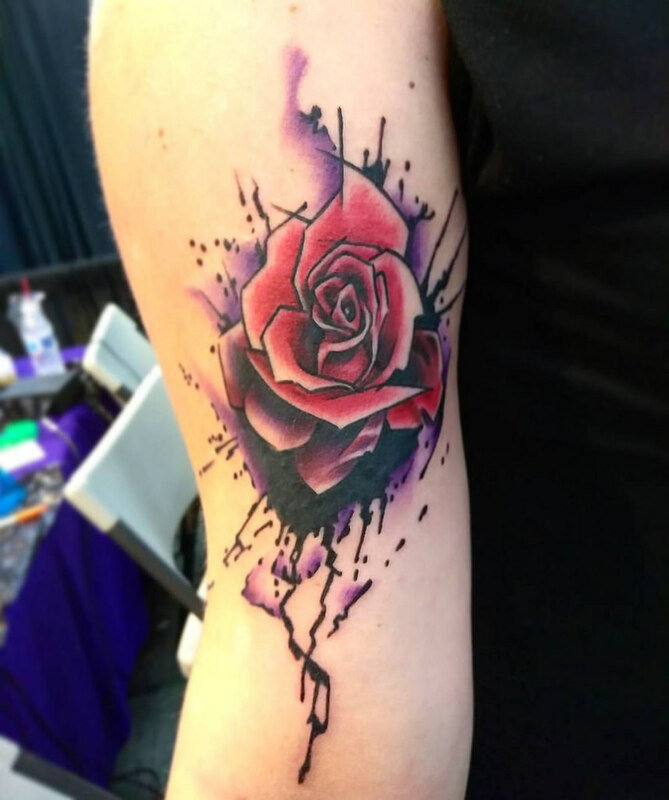 Combined with the rose, this tattoo is a representation of life after death—conquering an enemy and starting a new life. The most famous design depicts a rose growing out of a skull's eye sockets. Some people like having the skull wearing the rose on its head. 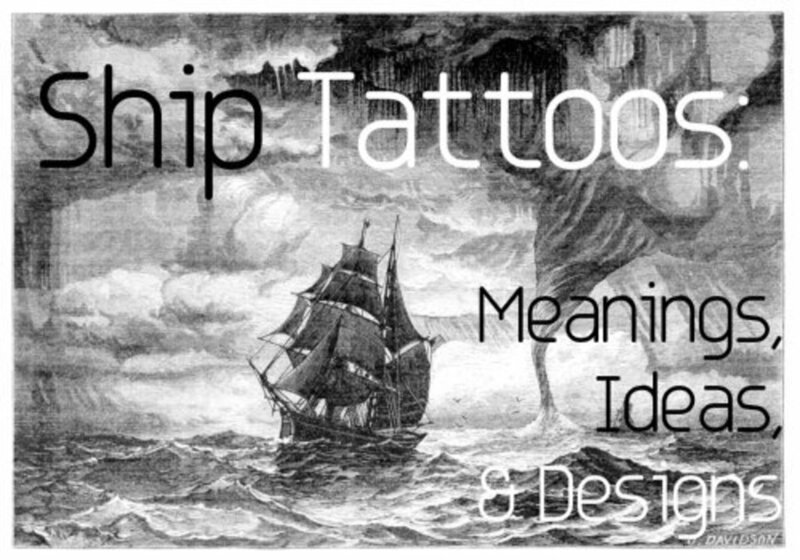 Anchor and Rose: This is a classic nautical tattoo that represents commitment to a loved one. 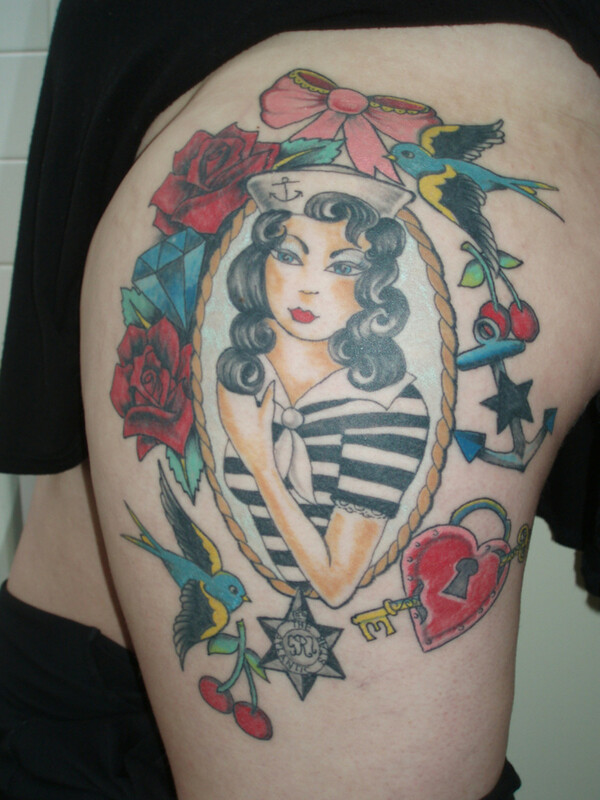 Sailors who got anchor tattoos usually included the name of their girlfriend, wife, or mother and adding a rose is a special tribute to that special someone. Rose and Dagger: These two contrasting elements can make for a visually striking tattoo that is imbued with profound meaning. The dagger stands for betrayal, ruthlessness, and death. A tattoo design that depicts a dagger stabbing a rose could represent the wearer's belief that evil always conquers innocence. It could also symbolize heartbreak, especially if you add a few blood drops falling from a drooping rose. A dagger tattoo with rose vines wrapped around it represents the duality of human life and our constant struggle with good and evil. A tattoo of a rose's thorny vines choking a dagger means that goodness always trumps evil or that true love is possible after a heartbreak. Rose and Clock: Clock tattoos represent many things, but they are generally objects that help us track our lives, so they represent time. 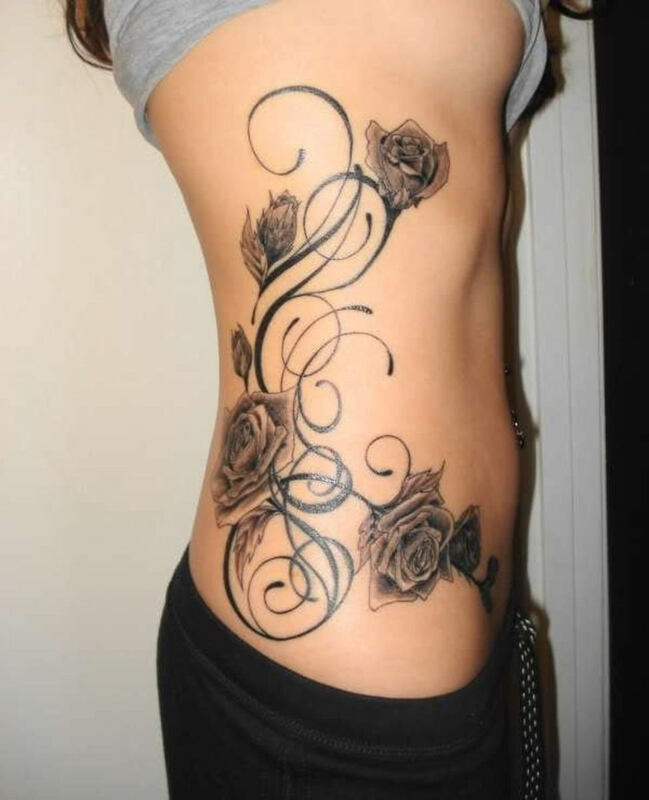 A tattoo design that has a clock with no hands and a rose symbolizes endless love. A stopwatch represents a moment in time. Combined with the rose, this design could be a symbol of a certain romance in your past, or it could represent an anniversary date. Rose and Dove: Dove tattoos are usually tributes to someone who has passed away. A rose and dove tattoo design can serve as a tribute to a loved one who has gone. Rose and Swallow: Swallows are known for traveling great distances but always being able to find their way back. A tattoo that incorporates both the swallow and the rose could symbolize the wearer's faithfulness to a lover back home. Rose and Butterfly: A rose and butterfly tattoo represents transformation in the context of love or romance. The wearer may be sending the message that they have been transformed by love or that they have turned a new leaf after a breakup or heartbreak. Rose and Rosary: This is a popular combination because the rose is associated with Mary, and the rosary is a string of prayer beads that is dedicated to her. 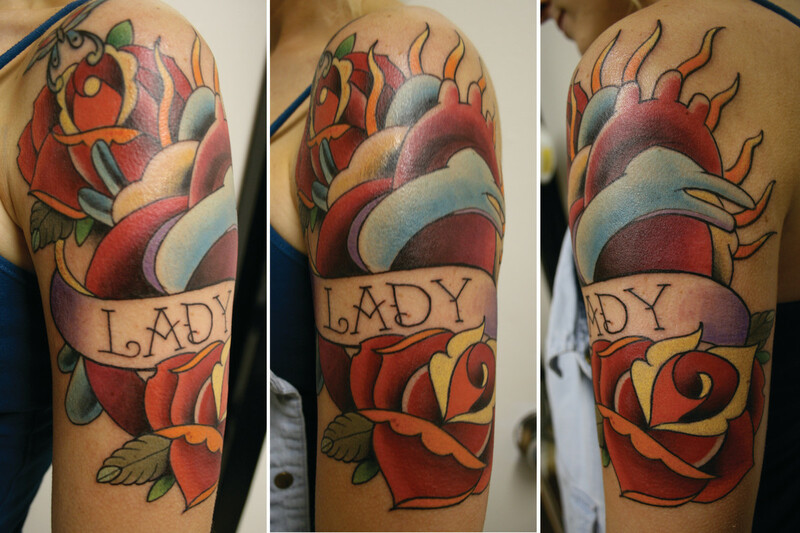 Rosary tattoo designs often incorporate the blue rose because the color blue is associated with Mary's cloak. People who get this want to be reminded that they are protected by the Mother of God. 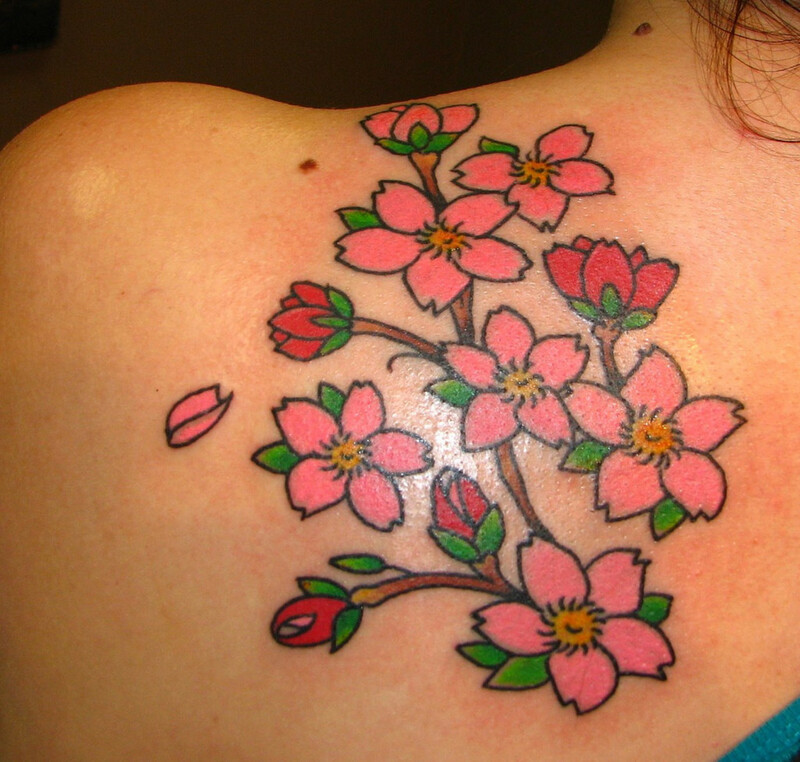 Rose and Cherry Blossom: This tattoo design is beautiful and the meaning can be whatever you want it to be. Like the rose, the cherry blossom is associated with beauty and love. Cherry blossoms are popular in Eastern or Asian cultures, so incorporating them with roses (a Western symbol) could be a nice tribute to the melding of two cultures. Compass Rose Tattoo: The compass rose is the circle on a compass that shows the directions. 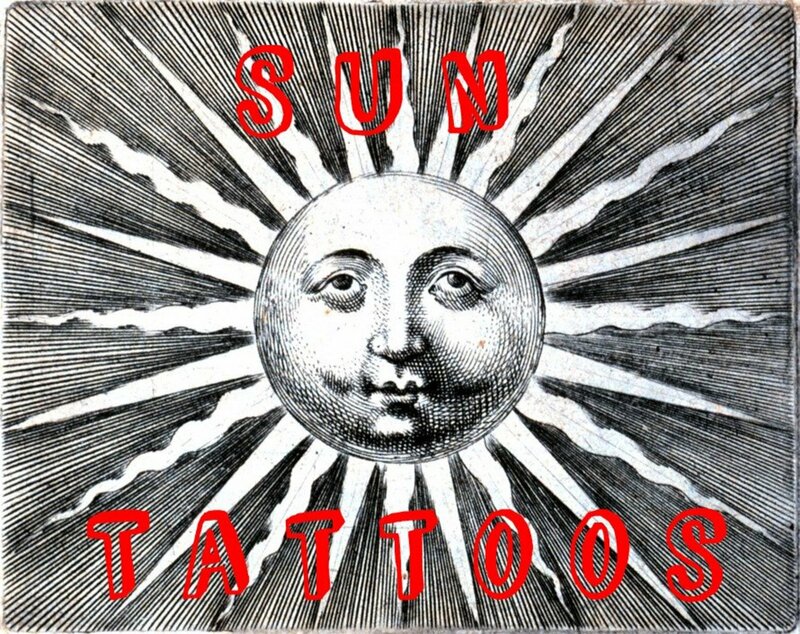 The compass tattoo is a very popular nautical tattoo and was worn by sailors who believed that the tattoo would protect and guide them through rough waters. 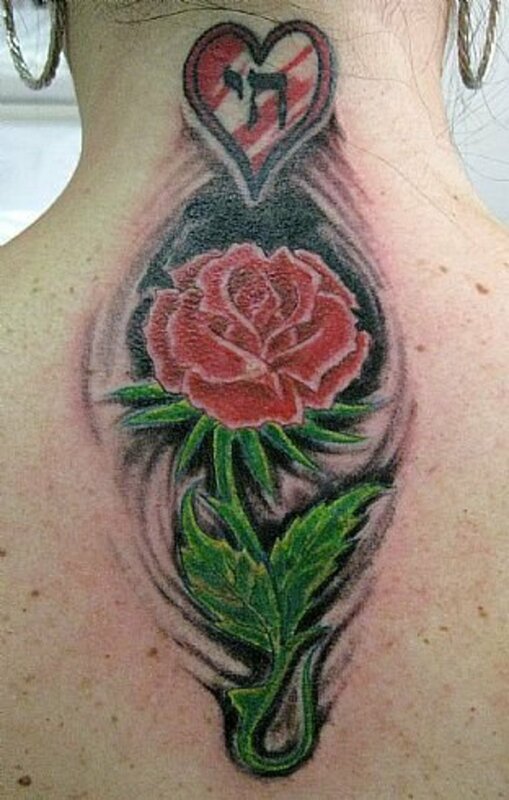 Today, people like incorporating the rose flower in with the design. 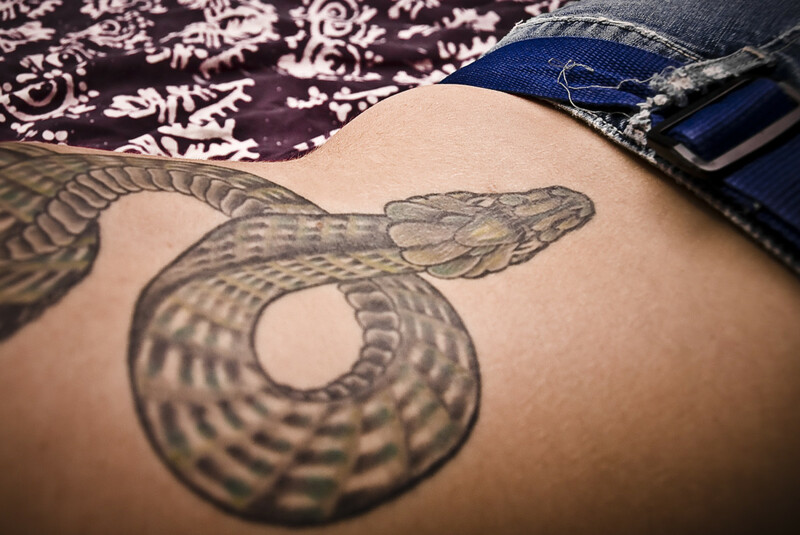 It is commonly tatted on the inner forearm. A rose with thorns symbolizes love that is unattainable. It could represent someone who is cautious in romantic relationships. Someone who compares him or herself to a rose with thorns is beautiful and desirable from afar, but if you get too close, you might end up hurting yourself because they are guarded and/or tough. Although the rose has a long history of representing love, its image carries a variety of different meanings today. The meaning can change depending on the color, the location, and the design. White: This color traditionally represents innocence and purity. It could also be a symbol of being or having a secret admirer. Red: According to Greek mythology, the rose was originally white but turned red when it grew in a pool of blood spilled by Aphrodite's slain lover, Adonis. The color red, therefore, represents immortal love that can withstand time and even death. A red rose also symbolizes passion, romance, and memorial. Pink: Pink roses symbolize femininity, elegance, gentleness, grace, and innocence. Some people may use it to show that they are a cancer survivor. Pink roses also represent motherly love. Black: Black roses represent death, grief, and sorrow. They can be used as a tribute to a loved one who has passed away. 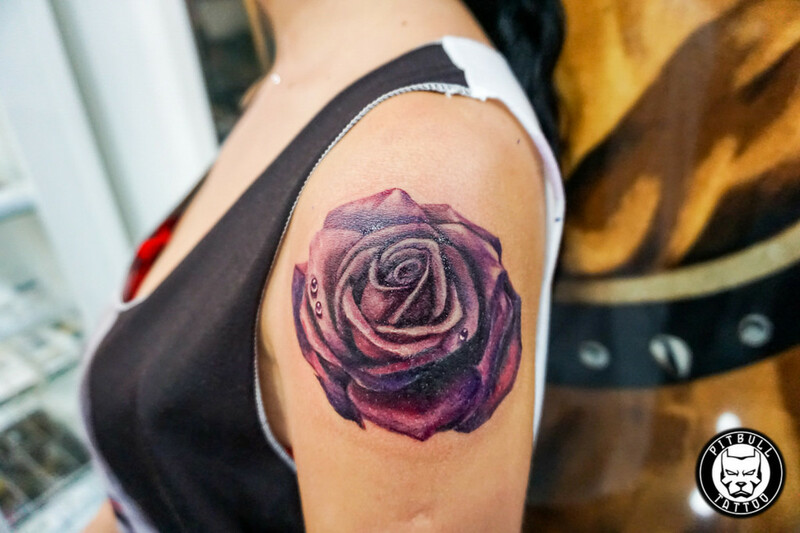 In some cultures, the black rose is tattooed on soldiers returning home from war because it symbolizes the completion of a long and arduous journey. They also stand for strength and rebellion. Blue: Blue roses do not exist in nature. Hence, a blue rose represents something that is unattainable or a fantasy that may or may not come true. They also represent the Virgin Mary as her cloak is traditionally depicted as blue and roses are associated with the rosary (prayer beads dedicated to Mary). Purple: This color represents enchantment or love at first sight. It is also the color of royalty and wealth. Orange: Orange symbolizes enthusiasm, excitement, and new beginnings. The flower's shape conveys different meanings, depending on whether it is opened or closed. If the petals are closed, then it is just a bud, so it represents a new beginning or youthfulness. A full bloom symbolizes growth, maturity, and achievement. Any flower that is in bloom is at the height of its beauty and life cycle, so the flower's life cycle can parallel the wearer's journey in their own life. A wilting flower signifies unrequited love, defeat, loss, or death. He who wants a rose must respect her thorns. The Latin expression "sub rosa" ("under the rose") means something that is told in secret. In ancient Rome, a wild rose was placed on the door of a room where confidential matters were being discussed. The number of petals or the number of blooms also carries its own symbolic meaning. In Freemason symbolism, three roses represent the three guiding principles of love, life, and light. Five petals represents the five wounds that Christ incurred on the cross. Seven petals represents the idea of perfection and balance, which is based on Pythagorean's belief that there are seven directions in space pointing to seven planets. 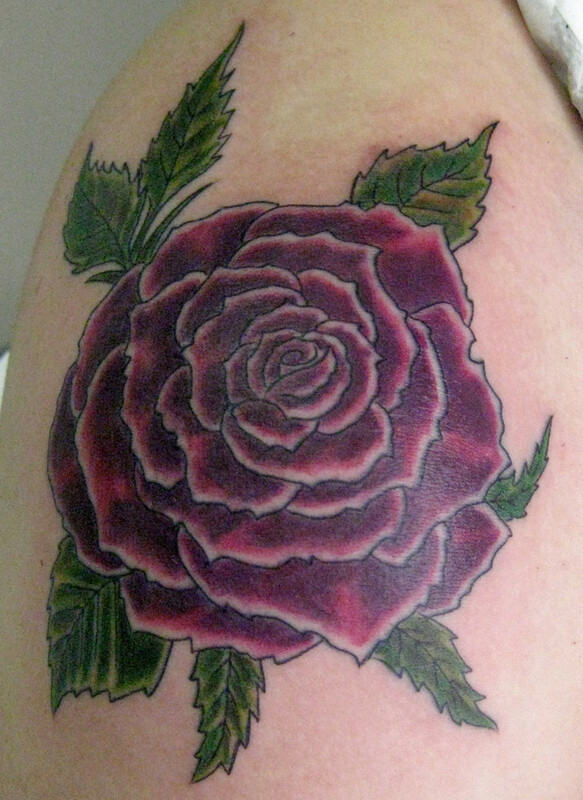 In Renaissance art, a rose with eight petals represents rebirth and renewal. In Christianity, the rose is associated with the Virgin Mary, Mother of God. It is from the rose that the rosary gets its name. A red one at a funeral now represents the blood of Jesus. Roses are used on four traditional Tarot cards: the Fool, the Magician, the Strength, and the Death card. Together, these cards create balance and equilibrium. In Greek mythology, it is associated with Venus and Aphrodite, both goddesses of love. It is England's national flower. In the 15th century it represented two important families: the Lancasters (represented by the red rose) and the Yorks (represented by the white rose). The War of the Roses occurred between 1455 and 1487 when both of these houses competed with each other to rule England. Ancient Egyptians honored the god Isis with roses. — William Shakespeare's "Romeo and Juliet"
Bella Hadid: Has a small one on the back of her arm. 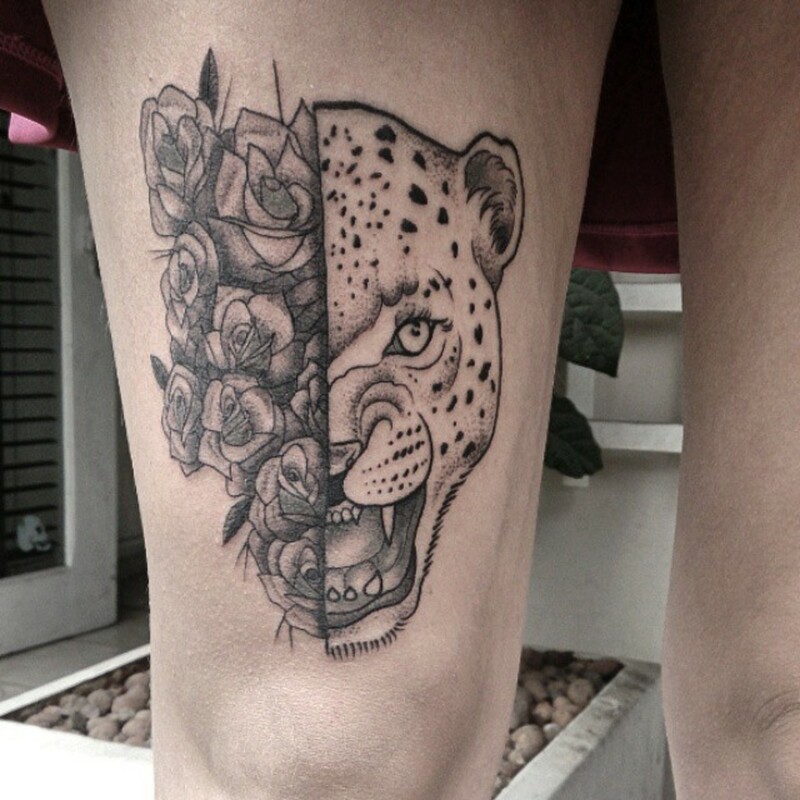 Kehlani: She has a rose with a dagger going through it on the front of her leg. Hilary Duff: She has one tatted on the inside of her bicep. Demi Lovato: She has one on the inside of her arm that appears to be a dedication to someone. Amber Rose: Hers is probably a tribute to her own name. Snooki: She has rose and rosary bead tattoo on her left shoulder. Lily Collins: She has an English rose on her foot in honor of her British heritage.